Great Western Tillage is Australia's sole distributor for the world renowned Rasspe-Schumacher range of high quality harvest components. 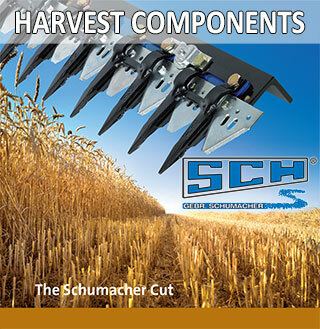 Harvest Equipment Range covering Schumacher Easy Cut II Cutting System, Crop Lifter, Pro Drive Knifedrives and Rasspe Connectors. Mower Blades & Bolts Information on a wide range of mower blades and bolts. For product specifications & availability, please contact your preferred Dealer.